TWA school and camp founders Ben & Claire Walker have had a lifetime of careers in environmental and experiential education. Our Tribal Wisdom Academy adult team of Mentors are role-models of pioneer skills, safe practices, good character, mindfulness, and deep nature connection. All staff are trained in First-Aid and CPR, tool safety, fire safety, and all adults have the highest standard of FBI/DOJ fingerprint background screening. We ensure that your child is getting a true mentorship and an authentic childhood experience, as expressed in our photos and camp videos from the past 4 summers at Los Gatos Farms. Ben Jamin Walker has been teaching kids outdoors for forty years! Create unstoppable self-directed lifelong learners that can get into any career or college that they choose. Train kids to thrive in any world future with an intertwining of paleolithic survival skills and modern day life-skills. Ben Jamin Walker traveled in over 30 countries, lived alone with tribes that include the Kung San Bushmen of the African Kalahari in 1984, the Cree Nation of sub-arctic Canada, tribes in the deep jungles of Honduras (and many other tribes) and then returned to teach. Ben has had a lifetime of learning traditional life-skills directly from tribal peoples. These are the skills that our human minds and bodies were designed for. Even our personal attraction to these vital skills appears to be naturally innate. 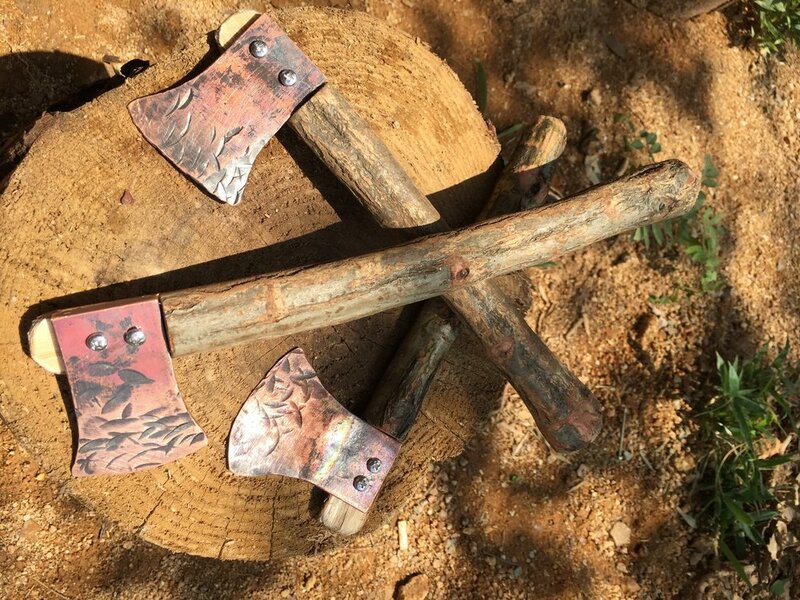 These wilderness survival skills are surely how humans were designed to reach maturity, and these are the original skills that historically developed our brain and body to it's full design-potential. Ben focuses on giving our young students real skills and experiences, with the vision that they can one day become solid adults and teach their grandchildren, as mankind has done throughout history. As a teenage Boy Scout in the 1980's, Ben worked all summer at BSA Camp Winton for three years. And in 2002 Ben was the the Scoutcraft Director at BSA Camp Chawanakee. Ben has also taught at 3 camps for Scouting Mexico in the coastal jungle of Mexico's Central Pacific Coast. Ben has extensive experience at many-many other camps as well, including camps created and directed by Ben himself. Ben retired in 2014 after 15 years of working as a professional Naturalist for Merced County Office of Education's Yosemite 6th-Grade Camp at Green Meadows Outdoor School, where he taught an average of over 2,000 boys and girls per school-year out in the woods since 1999. Besides being recognized as a prehistoric survival skill expert, Ben Jamin Walker is also the inventor of Knot Fu, an artful and much easier and systematic way to tie knots. Ben specializes in teaching a great variety of ancient and modern skills which we believe every human should master before adulthood. As Director of Tribal Wisdom Academy in the Silicon Valley of California, Ben is fulfilling his global lifework to study/discover and provide what children naturally need during childhood to become solid adults. We focus on the developmental skill-based experiences needed by children to thrive. Claire Yue Liu Walker was born and raised in Mainland China. Her entire childhood included 10-hour school days (plus endless hours of homework). 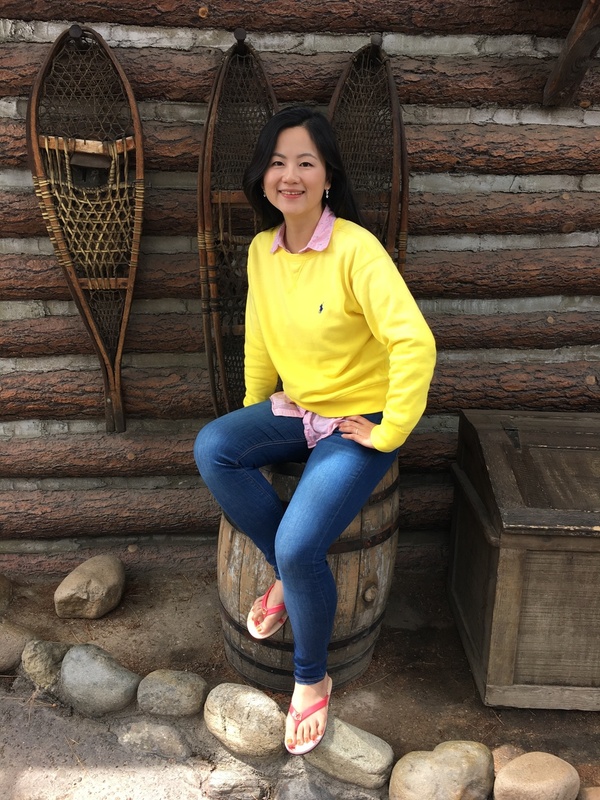 After getting an International Law Degree in Beijing, Claire came to America and earned a Masters in Sociology at Lehigh University in Pennsylvania. And she did her research practicum in "The Positive Outcomes of Summer Camp". 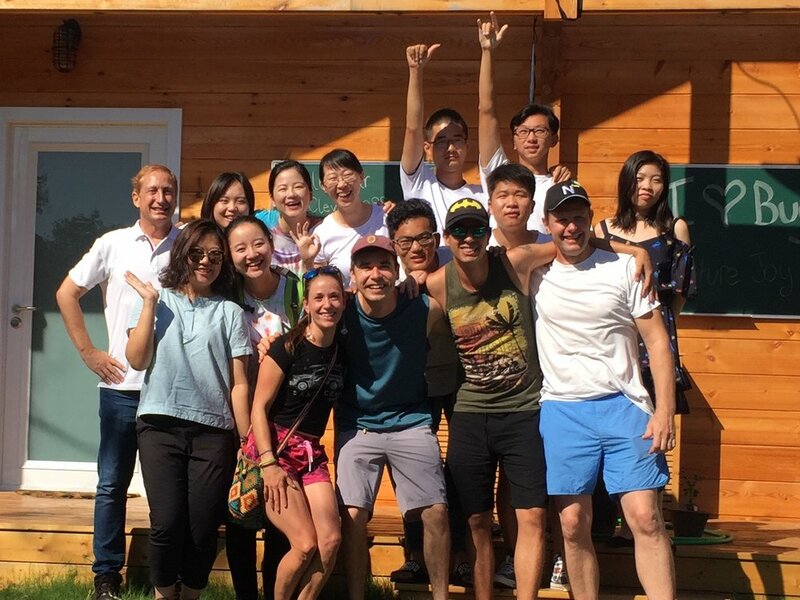 At the same time, Claire also established an international camp agency in 2011 called "Global Discovery Ventures LLC" to bring Chinese campers to residential summer camps in New York and Virginia. Here at Tribal Wisdom Academy, Claire specializes in curriculum development, staff training, and parent communication. Claire co-creates programs with Ben that support our camp kids in authentic outdoor childhood. And our amazing camp kids here in the Silicon Valley have become an inspiration to parents in mainland China. See the photos at the bottom of this page. 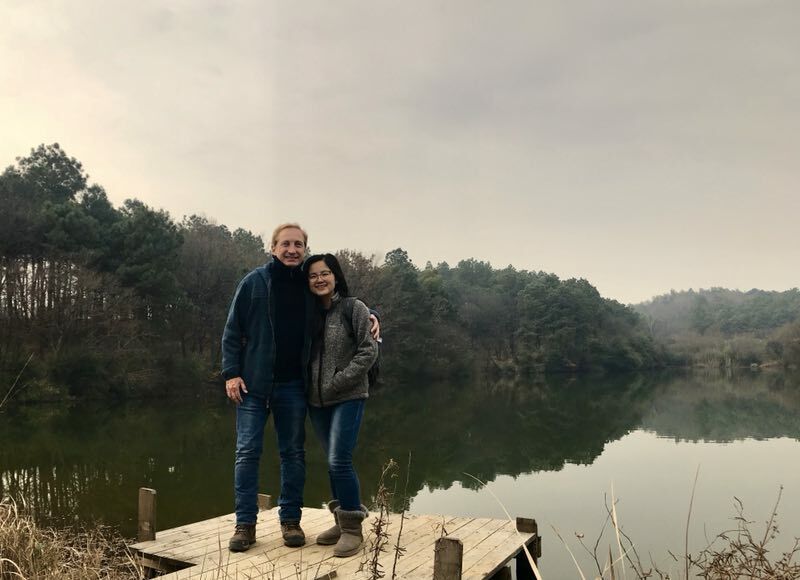 Ben and Claire Walker on a TWA school field-trip to a tribal village in the Tibetan Plateau. Staff manager Devin Laming has a genuine passion for teaching prehistoric living skills to children. With a B.A. in Psychology, Devin is able to integrate positive psychology into inquiry-based learning. Devin has extensive experience in coaching advanced archery, tomahawks, primitive fire making, and tool skills. Devin with his wife and son live in the Santa Cruz Mountains. Mentor Monica Lemmon grew up in Santa Clara, now studies foreign languages and linguistics. This is the second year that Monica has been working at TWA. Monica nurtures a sense of adventure while guiding children in outdoor maker projects. Mentor Rebekah Castro is studying at West Valley College to become a Registered Nurse. As a TWA Mentor for the second year, Rebekah teaches at our summer camps and at our school year Maker Labs. Mentor Terra Hyke studies environmental education and interpretation at Humboldt State University. Terra enjoys sharing her love for nature with children, and appreciates the world that she sees through the child’s lenses. Mentor Taylor Avoy grew up in the Santa Cruz Mountains, she is now working on her degree in public health at the University of Nevada Reno. Taylor loves to bring her hometown children back to nature. She is looking forward to creating happy summer memories together with your family this summer. Mentor Kenny Price is studying to become a music teacher at West Valley College. Kenny grew up as a homeschooler, and he understands that the key to passion in education is in allowing the child to develop their talents. Kenny also works as the TWA school-year Maker Lab at Coyote Grange Hall. Pages 21 and 57 of The TRADITIONAL BOWYER'S BIBLE, Vol. 2 & 3. Page 77 of THE BULLETIN OF PRIMITIVE TECHNOLOGY, Vol. 1, #4. 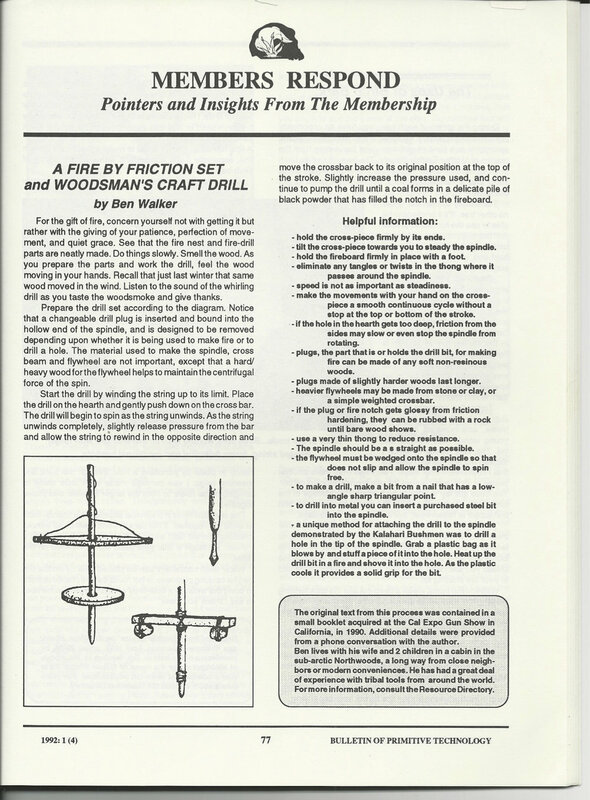 Articles in the first 2 issues of PRIMITIVE ARCHER MAGAZINE, plus Vol. 2, issue 4. Article in THE BACKWOODSMAN MAGAZINE, Vol 15, #5. Several full length newspaper articles in the US and Canada. Your lifetime of adventure begins now! Ben and Claire Walker have brought the TWA child-centered curriculum to mainland China! Camp Nature Joy is a new residential summer camp designed by Tribal Wisdom Academy Executive Directors Ben and Claire Walker. Our team of mentors are are pioneers in TWA's education philosophy and mentoring methods. The ongoing fine example of the Silicon Valley kids at TWA Los Gatos has inspired families around the world to seek the social skill learned through authentic outdoor childhood. At Tribal Wisdom Academy our main goal is to help kids learn about kindness and caring for others through actual experience. Joey Pedorza, Historic Skill Specialist. Joey believes in creating a safe student-community where kids are free to try new things. In his classes all experiences, including mistakes and failures, are valued as learning opportunities. Samantha Durham, Natural Science Teacher. With a Bachelor of Science in Biology, Sami firmly believes that learning natural sciences is a journey of personal discovery. She mentors students to value asking lots of questions rather than have them memorize facts and data. Archery Instructor Sebastian is from Columbia. At our huge archery range in China, he has already taught over 400 campers, as well as visiting dignitaries. Sebastian is also our Rocket Science Lab Teacher. He empowers local Chinese interns to take command of these signature classes at Camp Nature Joy. Blacksmith John is from Sweden and brings many traditional skills to the camp program. His focus is on training the campers and the support staff in safety with tools and fire. John’s class for next summer is our new Mars Rover Science Lab, as part of our exploration into the tools of modern astronomy.